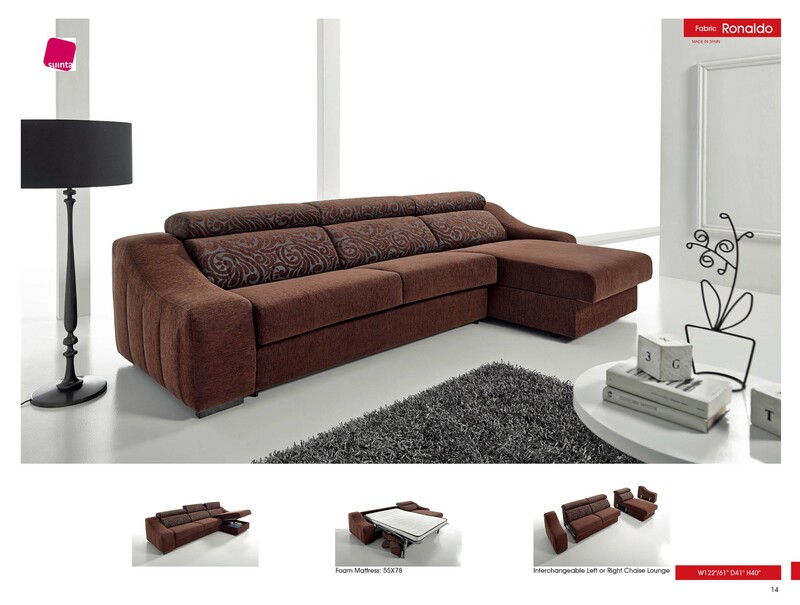 Wrapped in unique chenille brown fabric Ronaldo sectional sofa comes in a cool contemporary style and offers adjustable headrests. Sleeper is included with a luxury mattress that fits two people comfortably featuring high quality fold out mechanism. Storage chase can be placed on the left or right side which makes this sleeper sectional reversible.